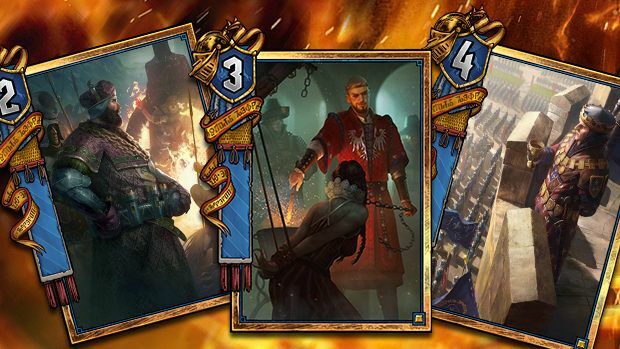 Gwent finally entered open beta earlier this week, attracting a large number of newcomers to try out the free-to-play Witcher-themed collectible card game. 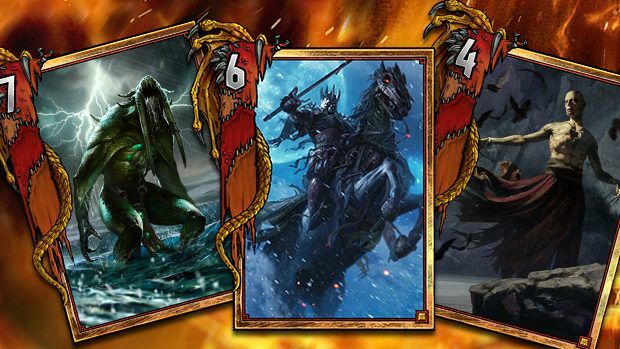 We have already published a humble guide to understanding the very basics of Gwent. It is now time to get to know the five different factions and their individual Leaders. During the closed beta, each faction boasted a passive ability. 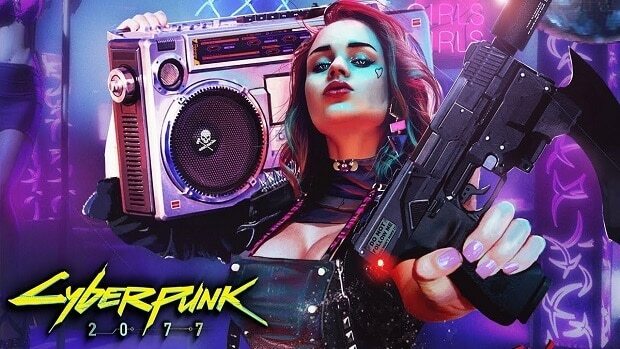 Those have been completely removed from the game in the open beta. The Leaders have received brand new abilities and are now playable cards. Placing them on the board will trigger unique effects that can turn the tide of battle. The world is infested with unspeakable horrors, most of which are gathered in the fearsome Monsters faction. Foul weather does not hinder these beasts—in fact, they thrive in harsh conditions. They attack in vast numbers that grow into hordes with the Breed ability, and when brute strength is needed instead, they consume their kin and absorb their strength. Dagon: Spawn Biting Frost, Impenetrable Fog, or Torrential Rain. Eredin: Spawn a Bronze Wild Hunt Unit. Unseen Elder: Consume three allies, but strengthen this unit by their power instead of boosting it. The Empire relies on diplomacy and subterfuge to disrupt enemy strategies and enact its own. They plant spies behind enemy lines to perform sabotage and reveal cards in the opponent’s hand. They target the strongest enemy units, crippling them or eliminating them altogether. 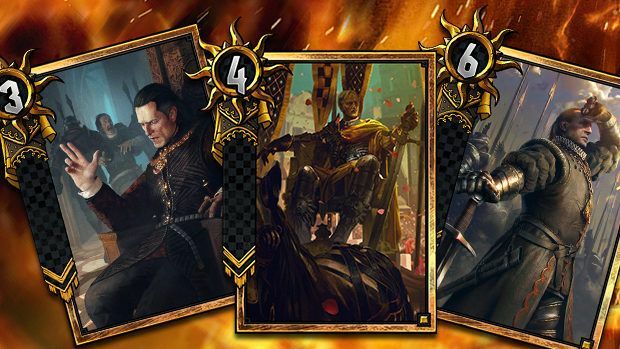 Emhyr var Emreis: Return an ally to your hand, then play a card from your hand. John Calveit: Look at the top three cards in your deck and play one. 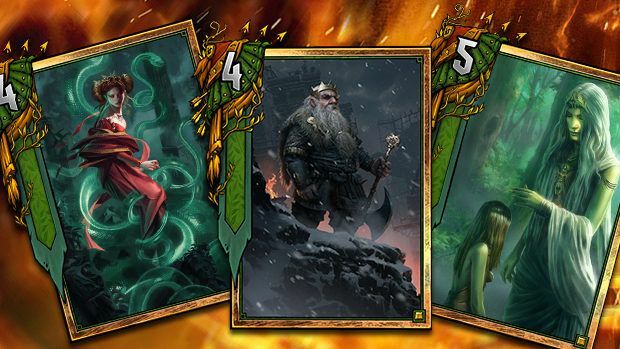 Morvran Voorhis: Reveal up to three cards from either player’s hand. The Northern Realms seek to gain control of the battlefield by reinforcing their numbers. Their valiant commanders march in the front lines to inspire their units and boost their strength. Their troops can be immunized against attacks and weather spells through promotion to Gold status, while Medics can return fallen soldiers to fighting form. Foltest: Boost all units in your hand and deck by 1. Henselt: Summon all copies of a Bronze ally. Radovid: Lock two enemies and weaken them by 4. The Scoia’tael are supremely agile, able to outmaneuver their foes with units able to deploy to any row. As befits guerrilla fighters, they often set ambushes: cards played face down which reveal themselves only when the trap has already sprung. To bolster their numbers, they quickly raise new commandos, zealous neophytes that take the opponent by surprise. Brouver Hoog: Play a Silver unit from your deck and shuffle the others back. Eithné: Resurrect a special card from your Graveyard. Francesca: Mulligan up to three cards. They embrace death’s glory, knowing their priestesses and medics can summon departed heroes from the Graveyard to fight another day. A Skellige player sends units to the Graveyard on purpose… only to bring them back later, stronger than ever. They also turn wounds to their favor by inciting their bloodied warriors to attack with redoubled strength. 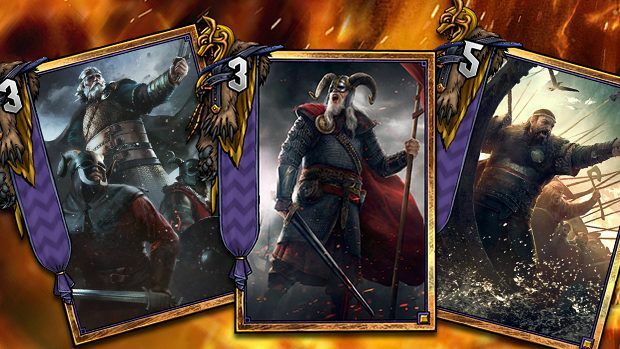 Crach an Craite: Play the highest Loyal unit in your deck, strengthen it by 3 and then damage it by 1. Harald the Cripple: Damage a unit by 5. If this destroys it, repeat this ability with damage power reduced by 1. King Bran: Discard three cards from your deck and strengthen units among them by 1. 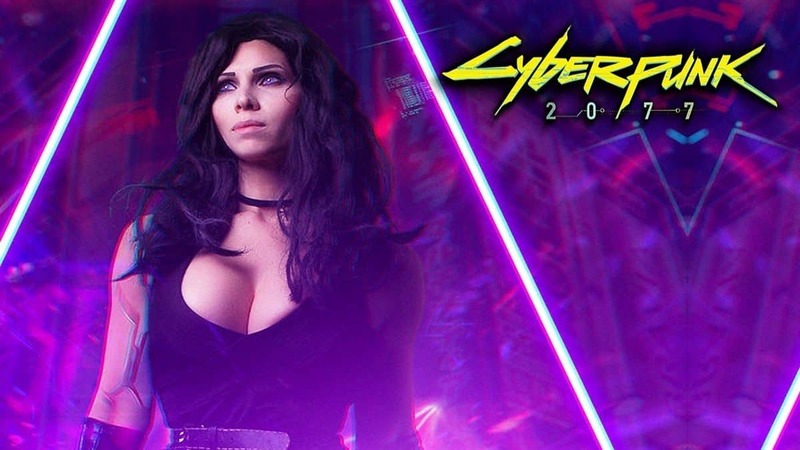 Has CD Projekt RED Teased A Cyberpunk 2077 Release Date For Valentine’s Day?